As soloist and chamber musician, Jean-Jacques Kantorow is performing already for decades on renowned stages worldwide. More and more, he takes the role as a conductor – with the same success.Both, as soloist as well as conductor, Jean-Jacques Kantorow recorded numerous discs for Denon, EMI, Erato, CBS and BIS, some of them gaining international rewards. 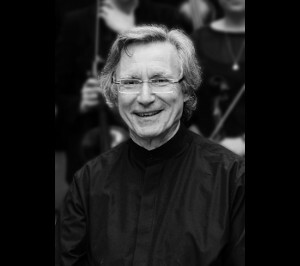 Being musical director of the Tapiola Sinfonietta since 1993, he presented a number of CDs acclaimed by the critics. Before, he was musical director of the Orchestre d’Auvergne, the Chamber Orchestra of Helsinki, the Ensemble Orchestral de Paris and the Orchestra of Granada.